Caitlin flies from New York City, where she has spent the last eight years of her life, to Telluride, Colorado, where she will serve as bridesmaid in the destination wedding of a college friend. Being back in Colorado just serves to confirm her decision to exchange her successful career as a textile designer for a new one as the owner and operator of a daycare center in Eternity Springs. It is an idea that has been simmering since her brother Chase’s disappearance in Chizickstan made her aware that she wanted a different life than the one she had in NYC. Caitlin has high expectations of her trip, but meeting Josh Tarkington when they share an unexpectedly adventurous gondola ride is an unexpected bonus. Josh thinks some time with the beautiful Caitlin Timberlake will be the perfect addition to his vacation. He agrees to be her plus one at the wedding, and they are poised to allow the sizzling chemistry between them to take its natural course when Ali and Mac and Celeste Blessing appear. Mac’s protective-father reaction is the least of the reasons Josh runs scared when he learns of Caitlin’s Eternity Springs connections. But he can’t run far enough to escape thoughts of her. Shortly after his return to Eternity Springs, he learns that Caitlin is not in New York but next door to Tarkington Automotive where she is preparing to open her daycare center. Josh has given up on lasting happiness, but Caitlin is convinced that he is “the one.” She lays determined siege to his heart, unaware that Joshua Tarkington was born only when a young boy, abused, traumatized, and abandoned, became the foster son of Paul and Cindy Christopher of Oklahoma City. Josh is fighting many demons, and his dark past still has a firm hold on him. The losses he has sustained as an adult have only added to his conviction that he must move through life alone. Can love triumph over such enormous obstacles? 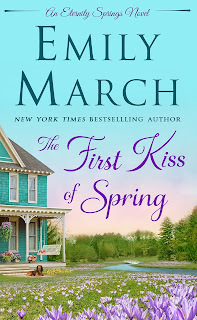 I’ve been a fan of Emily March’s Eternity Springs series since it began, and I think this book is one of the best in this long-running series. I loved seeing more of the Timberlakes, and I found Caitlin and Josh an immensely appealing couple. Some readers may find the move from their romantic comedy beginnings to the intensity of their later story startling; others will see the contrast as adding complexity. 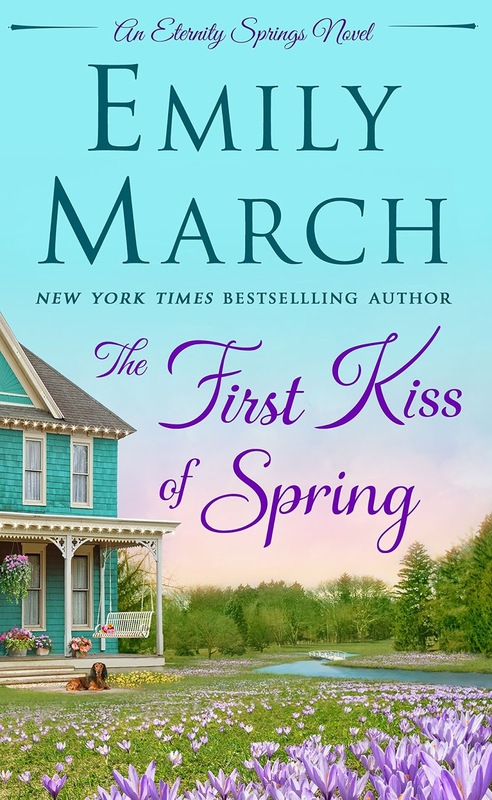 Despite its connections to several other Eternity Springs books, The First Kiss of Spring can easily be read as a standalone. I think March made some smart choices in this book. She has never shied away from difficult issues, but child abuse, addiction, suicide, and other deaths could have proved too much. March uses entries from Josh’s diaries to reveal the horrors of his early life, thus controlling the emotional impact of his past. As heinous as it was, he has survived. Approaching his past more directly almost certainly would have made the book an ill fit in this heartwarming series. In a similar fashion, Caitlin’s close family ties, innate optimism, and confidence that she is in charge of her life could have made the differences between her and Josh too stark, but reminders of the threat to Ali and Mac’s marriage and Chase’s narrow escape and Mac’s current health scare show that, although Caitlin’s life has been less traumatic than Josh’s, she is not immune to heartache. As usual for this series, the mysterious, benevolent Celeste Blessing makes her presence felt. If you like small-town contemporary romance that combines sweetness and spice, focuses on a central couple but sets their story in the context of family and community, and includes just a suggestion of the paranormal, I highly recommend this book. Not many series could keep me hoping for more through more than a dozen books, but I finished this fourteenth book eager for another visit to Eternity Springs. I’m delighted that the fifteenth book, The Christmas Wishing Tree, will be released October 2. Are you reading Emily March's Eternity Springs series? What's your favorite book or couple in the series? On my wish list. Love small town romance books. And thanks for heads up on her Christmas book. I've been meaning to read this series. This is a new to me series. But, I do love small town stories with all the friendships and characters. Sounds like a good one. Thanks for the review. 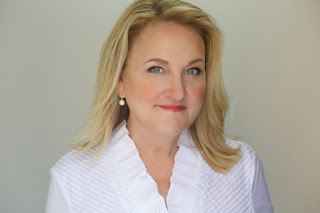 It's a wonderful series, Annette with lots of community, family, and friendship connections. It would be hard for me to choose too. I've loved them all though Angel's Rest (book one) is special to me because of the tie to her previous series. I love this series - it's hard to pick a favorite, but high on my list is Savannah Moore & Zach Turner in Reflection Point. I loved this book! I read it in one sitting. Teardrop Lane was my favorite. It's waiting for me on my Kindle. I always enjoy a trip to Eternity Springs! I have only read Hummingbird Lake. I really enjoyed Sage and Colt's story. I like to read a series from book one right on through. Kind of hard to do with this type of series with so many books and more coming out. Reading this type of a series would be more like going home for a visit rather than dealing with an over arching plot line that comes together at in the last book. I loved this story and agree with all stated in the review. I'm so glad Emily March didn't shy away from all of the difficult topics that affected Josh's life. I love her books. Would love to win. I love small town series books and yes I am reading this series. I would like to read this book sitting right there on the porch swing on the cover. I have a couple of the books in the series.